The best use of any vehicle is to drive it until it dies and cannot be revived. For those who love their cars, this is great news. There are few times when getting rid of an older vehicle for a newer one is really the better choice—at least as far as the environment is concerned. At U Pull N Save in Florida, we know that recycling a car after it dies is the best way to do the right thing for the environment. Making steel is a toxic, energy-intensive process. Recycling the steel in your vehicle will save on a ton of issues for the Earth. The frame of your car can be melted down and turned into something useful for the future. Recycling steel uses about 74 percent less energy than creating new steel! Your old car has toxic fluids like oil, anti-freeze, and gasoline in it. When you recycle your vehicle, these and other fluids are removed and disposed of properly. Sometimes, they can be recycled and used elsewhere. However, the important thing here is that they do not leak into a landfill or make problems in the environment. Even though your car may have given up the ghost, not all the parts have exceeded their useful lifespan. Recycling your vehicle can allow a company to pull those parts and use them in other vehicles that are still on the road. 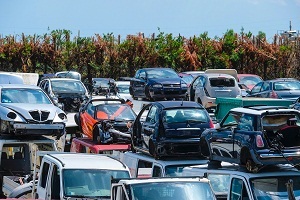 Whether you use a salvage yard like U Pull & Save to take care of your old vehicle or you donate it to a local charity, recycling your car can do a lot of good beyond saving the environment. It can help other people keep their vehicles on the road, and in the case of the charity, it can provide much needed income to allow the charity to perform its core mission.